Greek, Etruscan, & Roman Bronzes (MFA), no. 290; Sculpture in Stone and Bronze (MFA), p. 122 (additional published references). 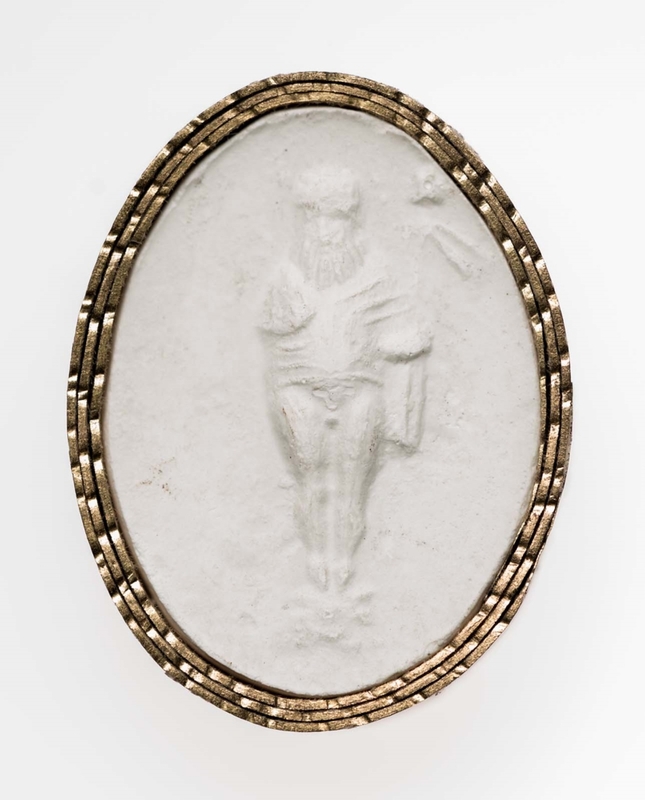 On the bezel in intaglio, Silenus stands full front with the upper part of his figure draped. 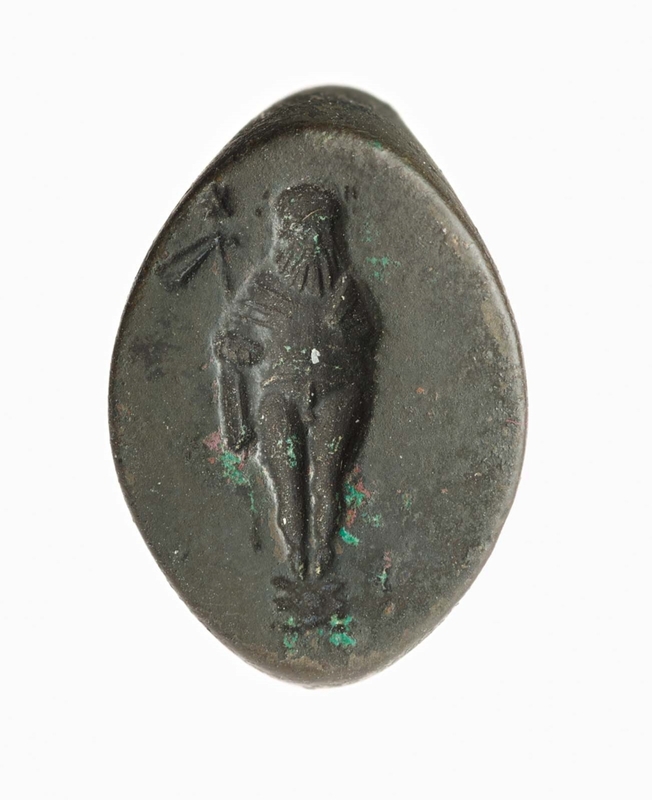 He holds a thyrsos in his left hand, and his feet seem to be placed on a rockwork altar. Most of the ring broken away. Dark green patina with some light green surface encrustation.